The Atlantic Hearts Sketch Challenge this week inspired a Christmas card from me using the City Sidewalks papers from Close To My Heart. Using zip strips from the papers and washi tapes makes for an easy and festive background. It's everything you need to make several layouts, cards or anything Christmas! The sentiment is one of our M stamps that I just love. 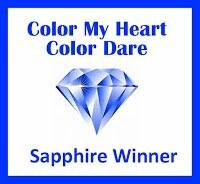 They are short and sweet and can go into your permanent collection of stamps that can be used for years on cards, tags, envelopes, presents, your name it! Merry Christmas M1148 The swirl is a separate stamp from the sentiment. I just happen to love swirls and curly cues!! CTMH also has a Cricut City Sidewalks Digital Collection Z4017 that is available till December 31st. Get it while you can! Dress up your artwork in holiday style with the festive images from this mini digital Cricut® collection. We've designed this collection to work with our City Sidewalks paper packet (X7213B), so you can complete Christmas projects in less time. The fun and playful images are sure to have you singing your way through all your Christmas crafting! 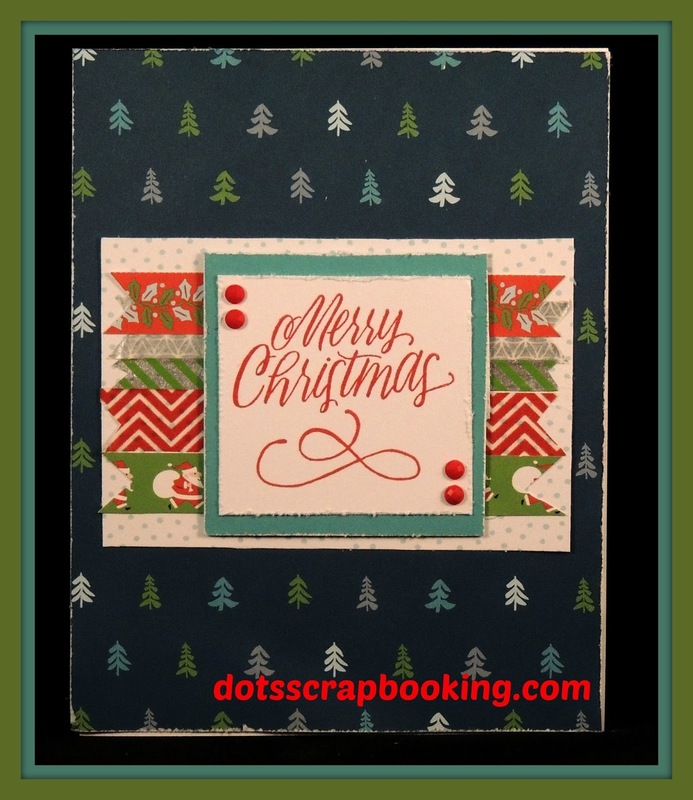 We have many other wonderful Christmas papers, stamps, embossing folders, and thin cuts available for your enjoyment!! 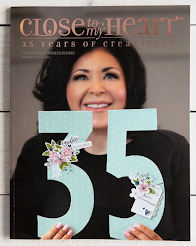 You can look at all the wonderful ideas from the Holiday Expressions catalog that is here until December 31st. Please stop by and shop. What a fabulous, bod and cheery Christmas card! Love all the zip strips in the background and the beautiful swirly sentiment. Great use of the zip strips. They stand out so well against the darker background. The sentiment is one of my favourite stamps. Thanks for playing along with us at Atlantic Hearts. I love this pretty card and your take on the sketch! Great way to use up those zip strips. Thanks so much for sharing with us at AHSC! wonderful job, I love it! I love the colours, just great! Thanks for playing along with Atlantic Hearts Sketch Challenge (AHSC)! 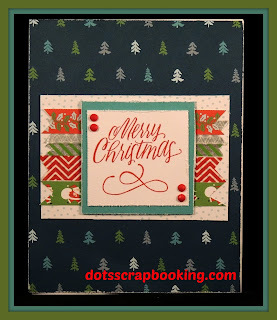 Loving this Christmas design papers and zip strips...very pretty card and use of the different papers. Thanks for sharing with us at AHSC. Love that you used the large sentiment in the center... fantastic card! Thanks so much to all of you!! I appreciate your kind words and great sketches to inspire us to play! !